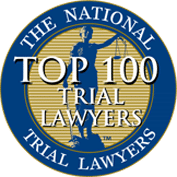 When an employee is injured in the course of performing his or her regular work duties, he or she may be able to file a workers’ compensation claim – even if the injury was caused by a natural disaster. This is because workers’ comp is a no-fault system, which means you can make a claim no matter who caused the injury. In Tennessee, workers’ compensation covers your medical expenses and gives you a partial wage replacement benefit for lost time at work. It also covers vocational rehabilitation, compensation for permanent disabilities, and a death benefit for those workers who die in workplace accidents. Lightning is unpredictable. It can strike miles from the nearest rainstorm. Workers who get struck by lightning typically get caught outside during a storm, or they go back outside too quickly after they believe the storm has passed by. Before starting an outdoor project when a storm is coming, check the weather report. If you are working outside when a lightning storm approaches, go into a building and seek shelter. If there is not a building close by, seek shelter inside a vehicle with the windows rolled up. Remain indoors or in the vehicle until 30 minutes have passed since the last peal of thunder. 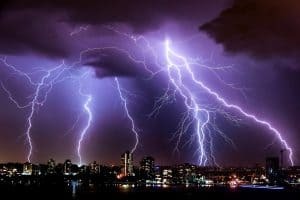 A lighting strike can be a workplace hazard, and yes, a lightning strike injury is compensable under workers’ compensation. If you have sustained a workplace injury from an act of nature, you must report it to your employer before you file a workers’ compensation claim. 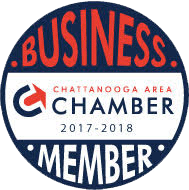 The experienced Chattanooga workers’ compensation attorneys at Wagner & Wagner Attorneys at Law will discuss your case and advise you of the legal options available to you. The injury lawyers of Wagner & Wagner Attorneys at Law have been fighting for the community since 1945. 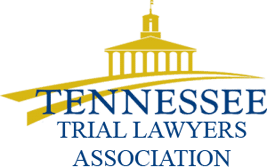 We represent injured workers in Chattanooga, Cleveland, and throughout Tennessee, and in North Georgia. You may schedule an appointment by calling us at 423-799-3532 or by filling out our contact form.